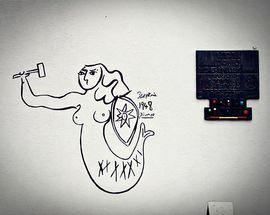 Picasso's Syrenka at ul.Obrońców 28/30 (Saska Kępa). Photo: Mat Fahrenholz. 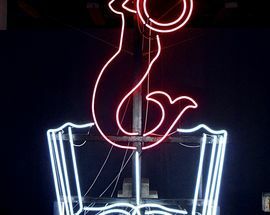 Syrenka at the Neon Museum. Photo: Mat Fahrenholz. The Story of Syrenka - Symbol of Warsaw. Photo: Mat Fahrenholz. 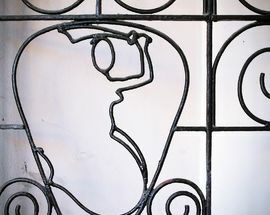 Syrenka on a gate on ul. Nowy Świat. Photo: Mat Fahrenholz. 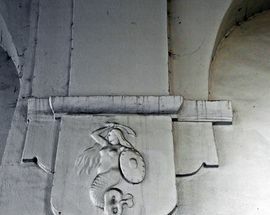 Syrenka on Poniatowski Bridge. Photo: Mat Fahrenholz. 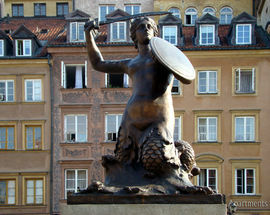 The original mermaid statue – or 'syrena' in local parlance – stands in the Museum of Warsaw, and was crafted from bronze by the expert hand of Konstanty Hegel. The original sculpture stood sentry on the square from 1855-1928 and then again from 2000-2008. 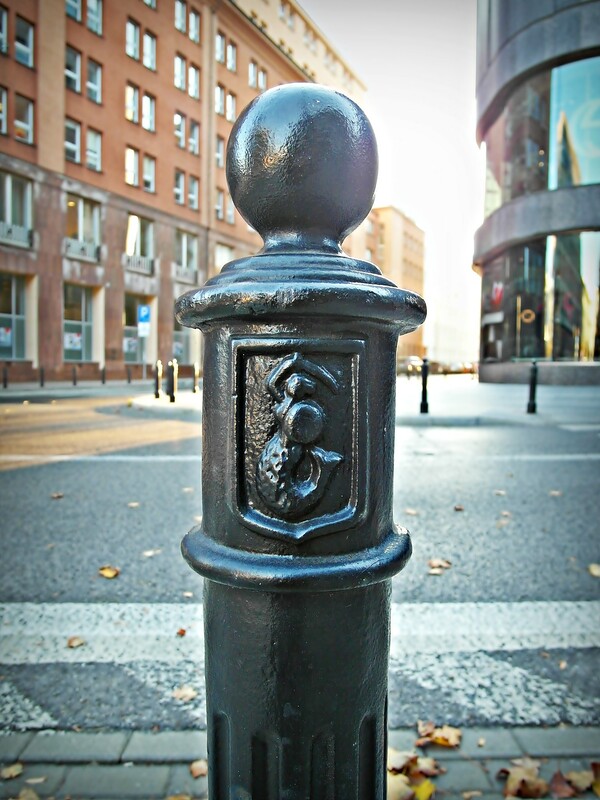 In 2008 it was removed because it was in very poor condition due to mechanical damage and numerous acts of vandalism. The repaired original was transferred to the museum and replaced with a copy of made by the Jacek Guzera foundry in Dąbrowie near Kielce. 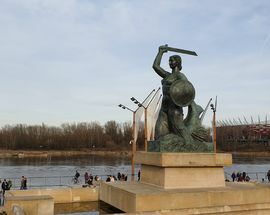 Possibly the second most famous statue of the city's symbol, found on the Vistulan Boulevards next to Świętokrzyski Bridge was created by sculptor Ludwika Nitschowa and unveiled June 29, 1939. Her model was a 23-year-old poet and etnography student: Krystyna Krahelska, but allegedly Ludwika changed her face slightly because she didn't want Krystyna to feel intimidated. The 3rd most recognisable syrenka can be found on ul. Karowa on the Markiewicz Viaduct (G-5). 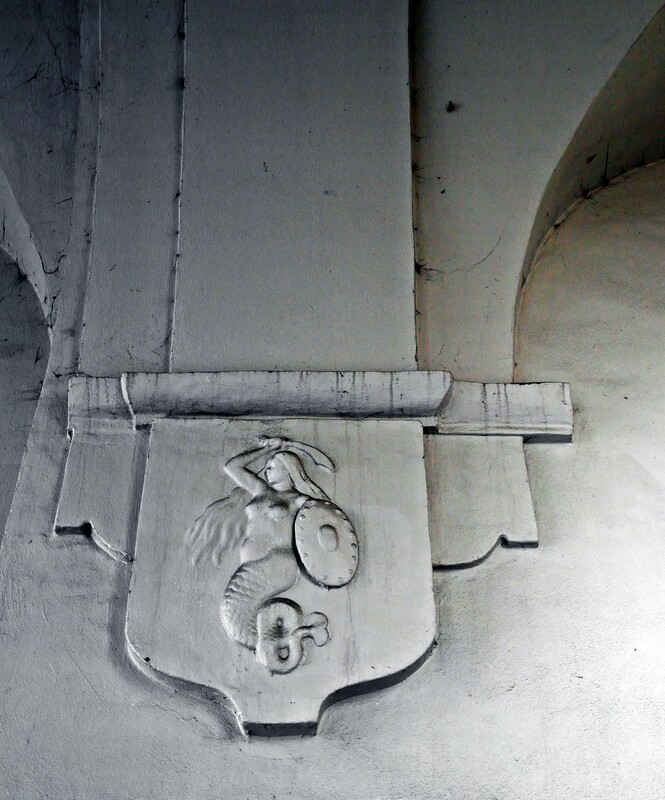 It has stood here since 1905, created by Jan Woydyga, when it became a permanent feature of the viaduct. 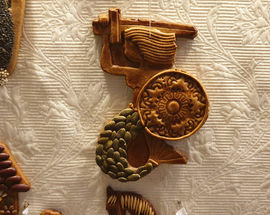 The first known mention of a mermaid as the symbol of Warsaw can be traced to a royal seal dated from 1390, though this one certainly wasn’t much to look at; depicting a hideous looking bloke with a dragons tail was as close as you’d come to seeing a marketing blooper in medieval times, so it’s no surprise that over the next few centuries this rather grim form was given a bit of plastic surgery – man was turned into woman, and the dragon became a fish. 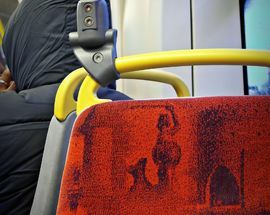 The legend has been debated and disputed scores of times, and it’s safe to say short of inventing time travel we’re not going to become any of the wiser. Until that time content yourselves instead by familiarising yourself with the myth. First off is the one you’ll find espoused within these humble pages; Prince Kazimierz, while hunting in the marshlands that are now Warsaw, lost his bearings and faced a night in the open. Miraculously, a mermaid emerged and guided the prince to safety by firing burning arrows into the sky. 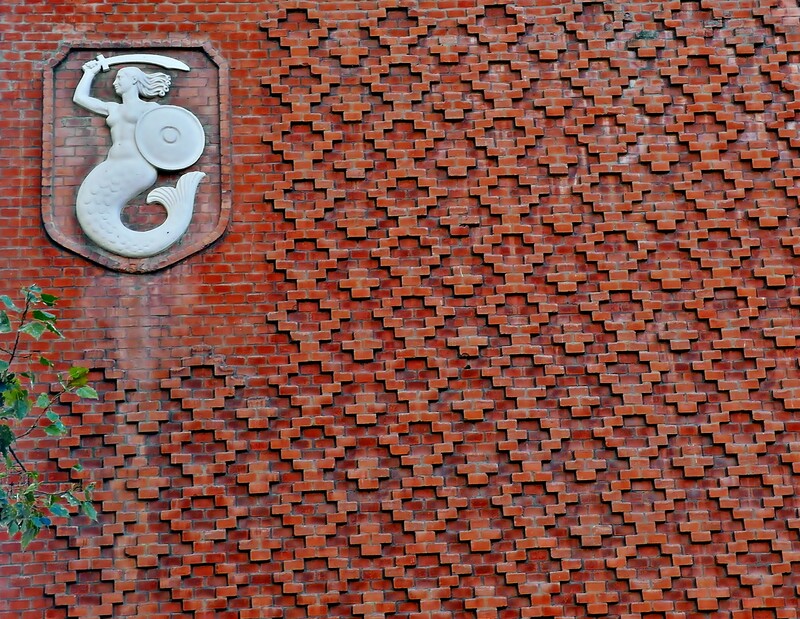 Warsaw was founded out of gratitude, and the mermaid adopted as its emblem. 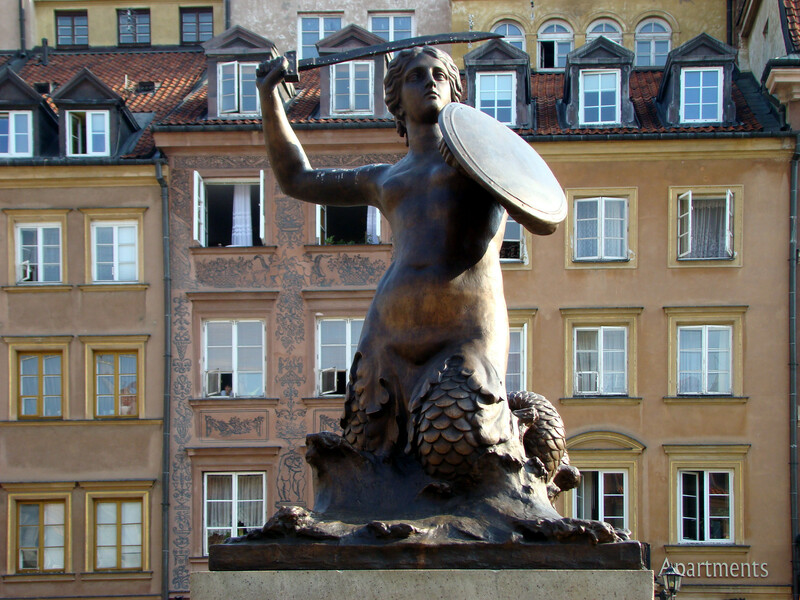 Story B, however, suggests that the Warsaw mermaid originally hailed from foreign climes. Accompanied by her twin sister the pair swam across the Baltic Sea, arriving in Gdańsk. Here the sisters split, one swimming to Copenhagen and the other down the Wisła, finally wriggling out of the bit of water bordering the old town. Local fishermen soon noticed someone tampering with their nets, freeing the fish in the process, and teamed up to catch this pesky vandal once and for all. They soon changed their minds once they saw her, and her siren like singing voice soon made her a firm favourite among the lads. All except for one, a greedy merchant who decided to trap her and take her on tour, Elephant Man-style, round the sideshows of Poland. His plan was soon foiled though, after the son of a fisherman heard her haunting voice wailing from a shed. 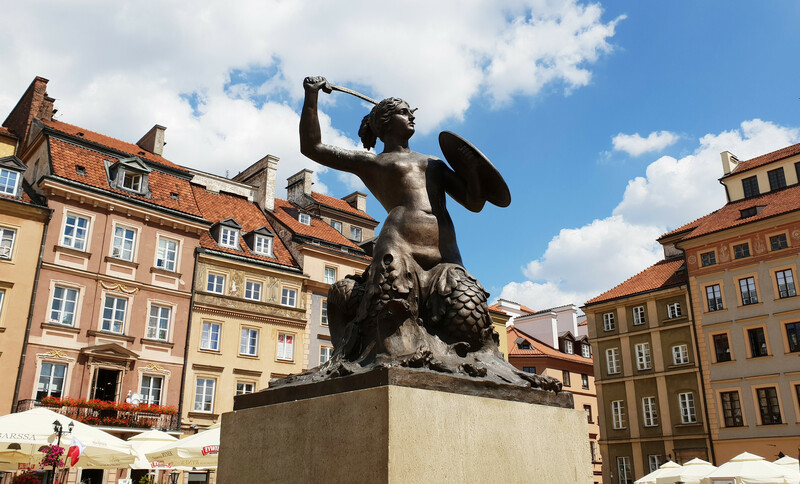 Alerted to her kidnap the fisherman hatched a daring plan to free her, and in thanks to the townspeople who rescued her the Syrenka swore to make it her life's mission to protect Warsaw. It’s this defensive stance of hers which explains why you’ll see her armed to the teeth with a sword and shield. Finally, you’ve got a third story to believe: back in ancient times the city was defended by a noble griffin who would frequently accompany fishermen on their forays to the Baltic. It was during one such journey he met a mermaid. Love took its course and she returned to Warsaw where the two lived happily in the company of the locals. When the Swedes invaded Poland the griffin was mortally wounded during the siege of Warsaw, and it was left to the Syrenka to pick up his arms and join the defence of the city. Out of gratitude the people of Warsaw chose to appoint her as the icon of the town, placing her image on the city coat of arms. 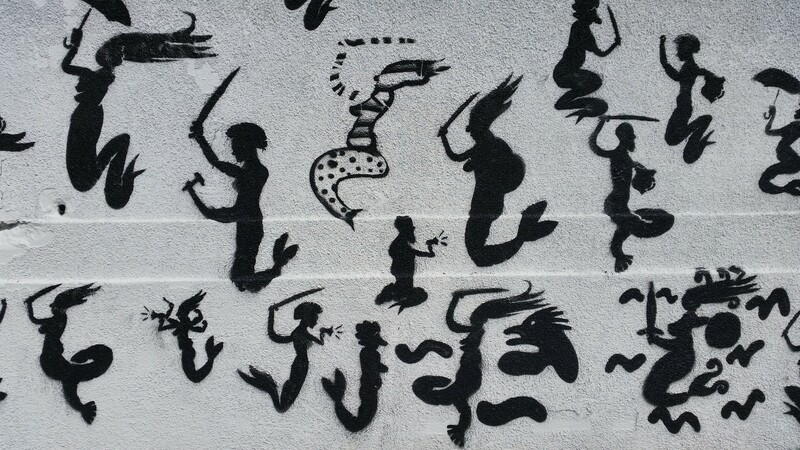 During his visit, he drew the Syrenka on an interior wall at ul. Deotymy 48 in the Wola district to the west of city. The family who lived in the apartment got sick of the constant flow of visitors wishing to view the work and grew to hate the drawing on their wall. They were finally granted permission in 1953 to paint over the charcoal drawing! Let that sink in for a minute, just like it did when we found out - think what was lost, and think how valuable it would have been today! 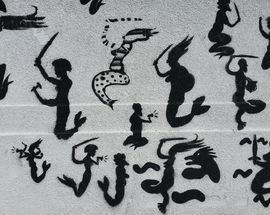 A recreation of the original work can now be found, confusingly, in an altogether different district of Warsaw across the river, on the wall of the house at ul.Obrońców 28/30 in Saska Kępa. There is, of course, a good reason why it's now here, as Picasso was hosted by the Artist’s Union at this address. 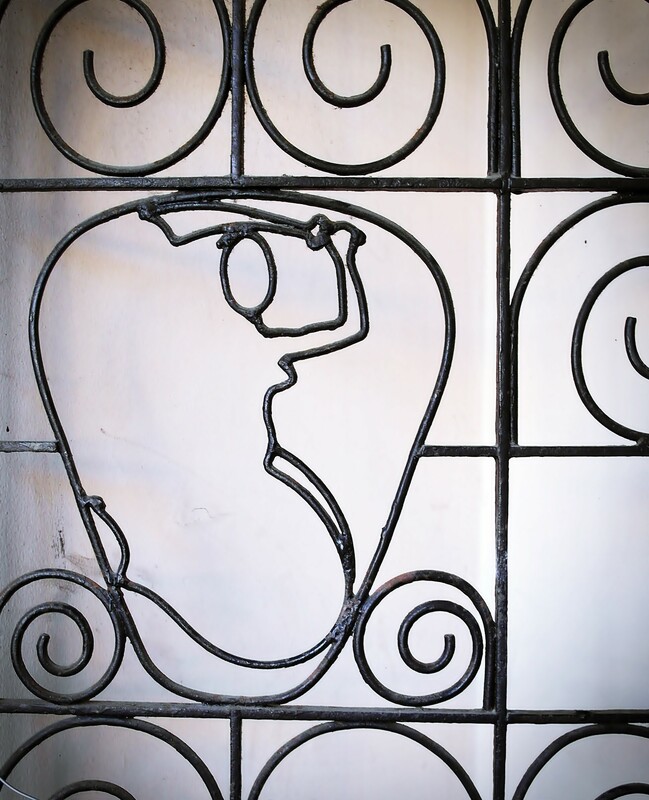 The sculptor Stanisław Sikora also had his studio in the building and some of his works still stand in the garden. 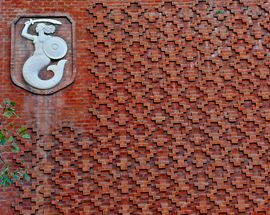 There are, of course, other lesser known statues of Syrenka to be found around the city, and one is not far from Saska Kępa on ul. 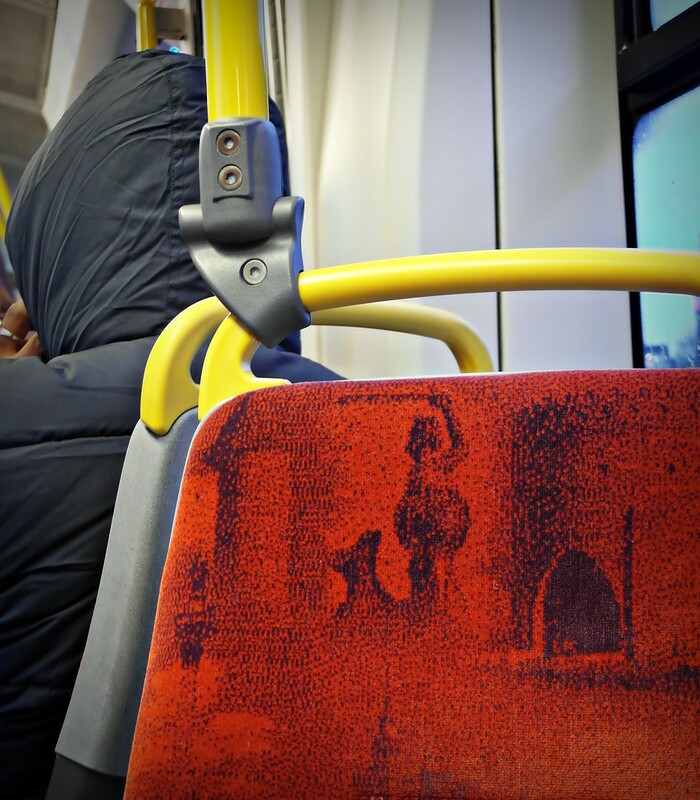 Grochowska 274. Made in 1973 by artist Jerzy Chojnacki, the elongated statue originally stood in front of Kino Sawa on Plac Przymierza, before being moved to its current location in 1990. 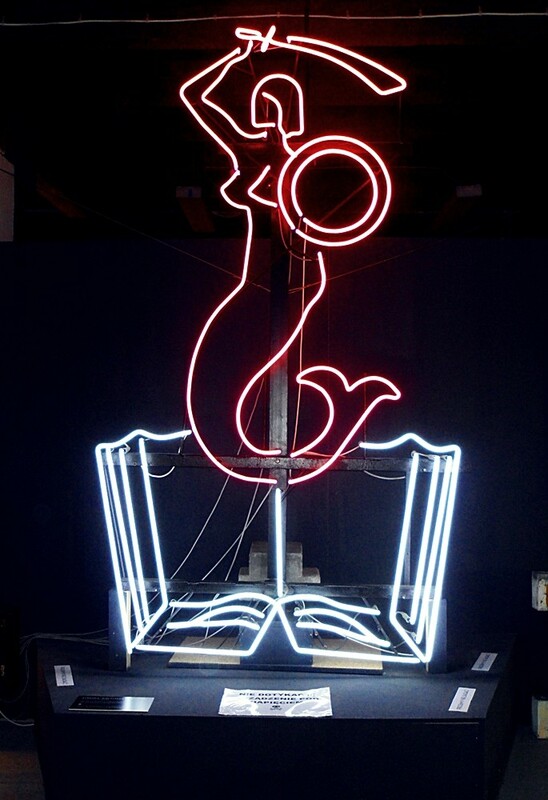 Now, a far weirder looking interpretation of Syrenka exsists on ul. 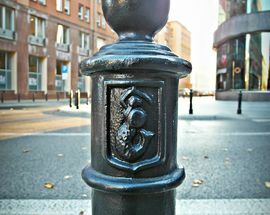 Graniczna 4, just off from Plac Żelaznej Bramy. If you happen to see this statue on your travels, you may or may not be relieved to know this is in fact how it's supposed to look. Often described as one of the far less attractive versions of Syrenka, it was made in 1972 by artist Ryszard Kozłowski, and, ummm, it can only be described as looking like it didn't quite set properly when it came out the mould. Strangely, it was made from the exact same material that was used to make practically everything during the days of Communism: cement. 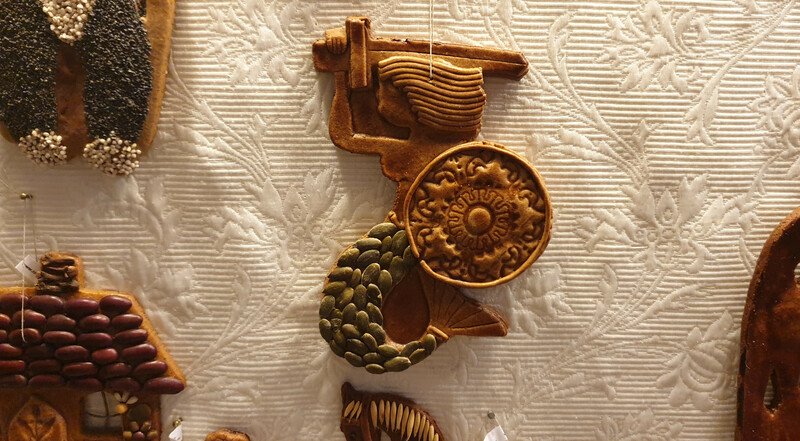 For those with hawk eyes, or a pair of binoculars, looking up 160m at the four clock faces of the Palace of Culture and Science, you'll see the golden syrenka emblems as the Millennium Clock (turned on at New Year 2000/2001) as the clock hands dance past her. 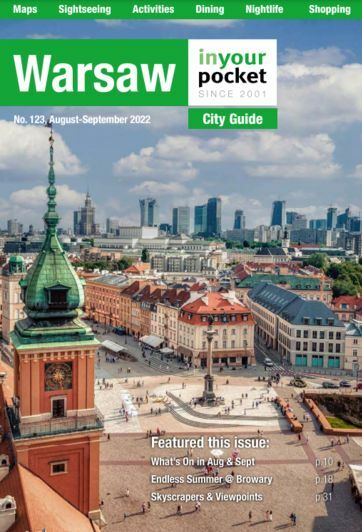 So now you know the importance of the syrenka to Warsaw, you can appreciate it's not some violent call to arms, but a watchful eye over the city. When you're out and about, keep an eye out for syrenka and you'll no doubt see her image frequently. Viewing our online photo gallery, you will see that she can be found practically at every corner, even when you least expect it. We've seen her in...big intake of breath now... in city authority buildings, public transport, courtyard entrances, on doors, in various hostels and hotels, in bars, cafes and restaurants, on random walls, in museums as art installations, and on cakes and biscuits too!